"In Fear" is an intense psychological horror about a young couple's fight to make it through the night. Home invasion but in a car. In real-time. 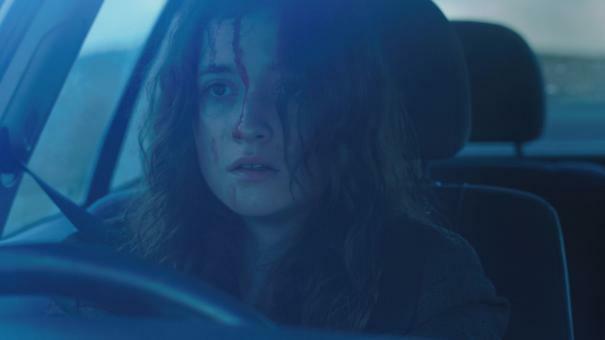 Tom and Lucy (Iain De Caestecker and Alice Englert) are trapped in a maze of country roads with only their vehicle for protection, terrorized by an unseen tormentor hell-bent on exploiting their worst fears -- fear of the dark, fear of the unknown, fear of themselves.